Police have extended their "cash for peerages" probe to look into loans to political parties as far back as 2001. The probe was launched amid claims Labour had broken the law preventing the sale of honours, ahead of last year's election. And the Electoral Commission confirmed the inquiry would stretch back five years - potentially covering loans to the Tories under Iain Duncan Smith. The Electoral Commission said the inquiry was "not specifically limited to current loans". All accounts of the last five years are being looked at. Last week government adviser Des Smith was arrested as part of the probe. Mr Smith, a headteacher, was subsequently bailed and will, according to his solicitor, deny allegations against him. The arrest followed allegations in a Sunday newspaper that he told an undercover reporter posing as the PR of a potential donor that honours could be forthcoming in return for funding for the government's flagship city academies programme. Mr Smith later quit his post with the Specialist Schools and Academies Trust which helps the government recruit education sponsors. Set up in September 2005, its president is Lord Levy, Tony Blair's chief political fundraiser and close friend. Downing Street has said it is "nonsense to suggest that honours are awarded for giving money to an academy". 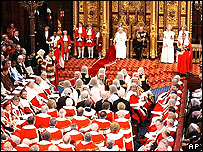 The cash-for-honours inquiry was originally launched in response to a complaint by Scottish and Welsh nationalist MPs.